Running an organization or foundation, you are seeking good-hearted, skilled and trustworthy people to have around you; ones that have passion and belief in life. 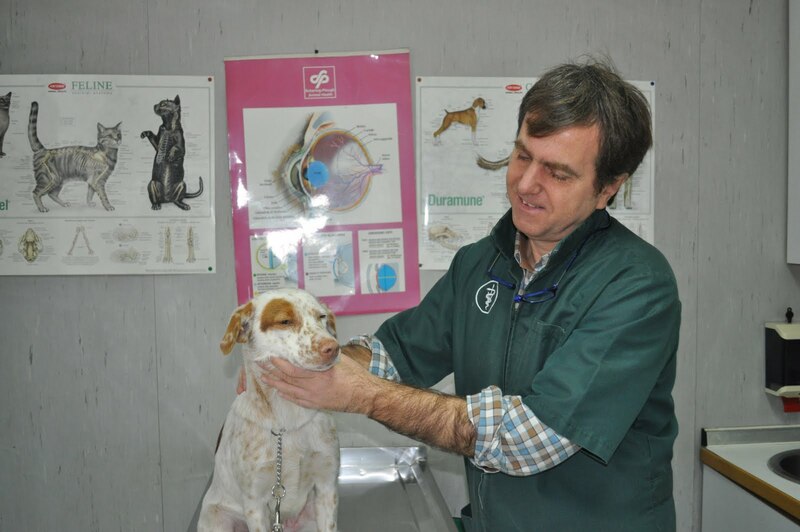 Dr Damiani’s clinic has showed AWL a lot of those things through many difficult stray cases. Above on the picture you can see me and Dr. Longo who spent more than 2 hours to get out the “object” that was stuck in Abby’s nose. He also worked to remove the chain around Ranger’s neck. He has the skills, and the passion we are looking for. Dr. Damiani made the biggest impression on me when we brought in Benjamin, our stray with mange and scabies all over his body. Nobody wanted to even look at him, but Dr. Damiani showed true professionalism, skill and compassion in his treatment for Benjamin, and his guidance to us to help bring about Benji’s recovery. Above picture, Dr. Damiani is working with another of our clients, Chloe, as she is getting prepared for sterilization. Dr. Damiani (right) and Dr. Longo, with “the miracle kitten”, Francesco, during the checkup after numerous sessions where he was anethetised and had stitches removed and bandages changed. This was another client where Dr. Damiani’s clinic and personnel showed their “true colors”. And because of their skill and caring, the kitten can now walk, and is on the road to full recovery. Dr. Damiani’s clinic, and doctors have what it takes for the animals here in Campania. They are some who help with what we are trying to do here. Thank you.